Jerry and Elsie Weyrauch founded the Suicide Prevention Action Network/USA (SPAN/USA) in 1996 in response to their daughter’s suicide. In October, 1998, Dr. Tullis and his wife, Madge, attended the National Suicide Prevention Conference in Reno, Nevada, cosponsored by SPAN/USA, then went on a campaign to “SPAN the state of Tennessee in 1998”. With the support of Jerry and Elsie and Virginia Trotter Betts from Surgeon General David Satcher’s office, Madge and Ken organized regional conferences across the state of Tennessee in the spring of 1999, pointing toward the first Tennessee Suicide Prevention Conference (TSPC), October 7-8, 1999, in Nashville, featuring Jerry and Elsie as speakers. Mrs. Tullis served on the Board of Directors of SPAN/USA from November, 2001, to July, 2008. 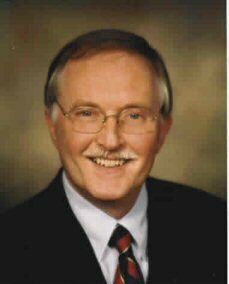 Dr. Tullis served on the National Advisory Council of SPAN/ USA from February, 2003, to July, 2008.